This video is in Vietnamese. Instructions are translated to English by an interpreter. A card is selected and signed. 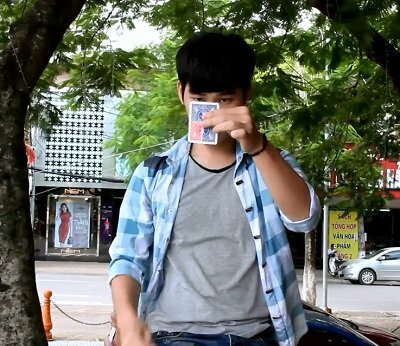 The magician tears out a corner of the card. Then the magician takes another corner with a different back and restores the selected card with that corner. The card can be examined. Detailed tutorial, making the gimmick, how to perform and variations.